(SPOT.ph) Staying in the Metro this summer? 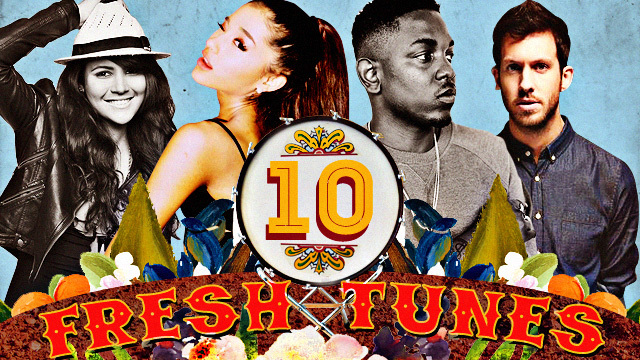 Don't worry; there's plenty of fun activities to do around Manila if you know where to look. If you're a movie-buff but can't bring yourself to shell out for those movie tickets, SM Cinemas has just launched a new partnership with the Film Development Council of the Philippines. 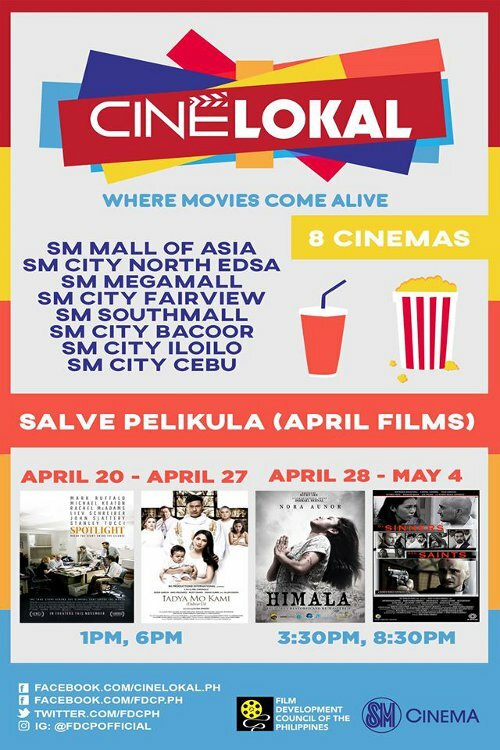 For the month of April, Cine Lokal will be screening four faith-based films in a two-week film series called "Salve Pelikula." The genres range from classic Filipino films to local independent cinema and even foreign films. 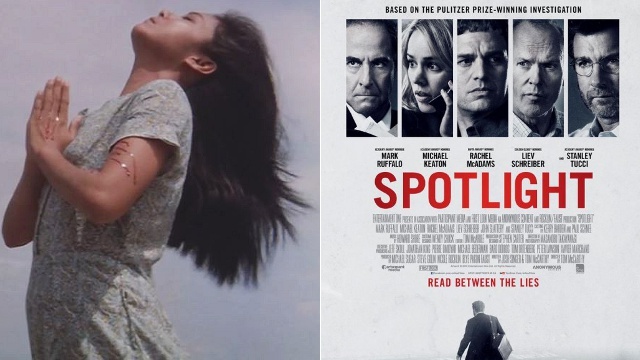 From April 20 to 27, you can catch 2015 Oscar Best Picture winner Spotlight and Mel Chiongco's Iadya Mo Kami From April 28 to May 4, watch Ishmael Bernal's 1982 classic Himala, and Ruben Marie Soriquez's Of Sinners and Saints. Screenings will be held at select SM Cinema branches in SM Megamall, SM North EDSA, SM Fairview, SM Iloilo, SM Southmall, SM Cebu, SM Bacoor, and SM Mall of Asia. Tickets are currently at an introductory price of P120 each. If your schedule is packed this April, don't worry! Cine Lokal won't be going anywhere; they'll be hosting screenings every day with a new lineup every week! For more information, log on to Cine Lokal's official Facebook page.